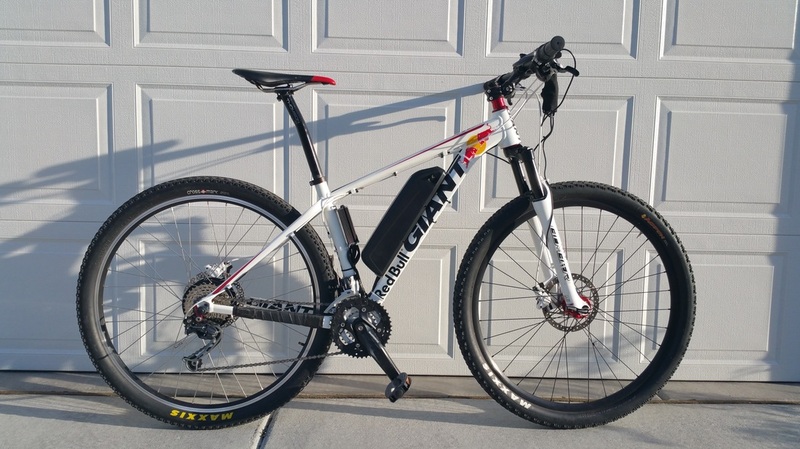 Utah has a new electric bike option. Pick the best bike for your needs and power it. Whether you want to get outside more, get more excercise or commute to work in the healthiest way possible PoweredRide can take your ultimate bike or bike you already own and help you ride further, faster and more often by adding electric power to your pedal power. ​There are a lot of electric conversion choices depending on what kind of bike you have and what kind of riding you want to do. The good news is, electric bike conversions have become very reliable and inexpensive and PoweredRide can guide you to the best choice for you and your wallet and then do the conversion for you. It doesn't take long and the price is very affordable. Just click here to get a free quote. Why would you want an ebike? Would you believe you actually get more exercise than on a regular bike? Would you like to go further faster? Would you like to commute for less than 10 cents/day? Would you like to lower you carbon footprint and adopt a greener lifestyle? Would you like to take the train or bus without having to walk to or from the station? Salt Lake city is a hilly place, E-bikes flatten hills. You don't worry about hills because they become a pleasure instead of a pain to ride up. E-bikes do all this and more. What kind of ebike should you get? What kind of riding would you like to do? Trails mostly or just occasionally? Around the neighborhood? Do you want to ride to work with your ebike as primary or occasional commute transportation? There are even options to replace the car and carry lots of cargo. Whether you choose mountain, cruiser, hybrid, road, folding or cargo, there are great customizing options for getting your perfect powered ride. There are 2 basic kinds for motors on an e-bike, hub motors and mid-drive motors. Hub motors are in the wheels and and either have a single gear or are direct drive with no gears. Each has its own advantages. The second type is a mid-drive like the Bafang BBS02 and BBSHD. These put the power where the pedals are and have the advantages of being able to use all of your bikes gears. Read more here on Electrify Bike Co. web site. Custom ebike or factory ebike? There are many great e-bikes at your local e-bike shop that come from the factory ready to ride and locally supported. Not a bad way to go if you like the brands and models they carry and the price is in your budget. But what if you want to make a different choice of bike or have a bike already that you would like to convert? What if all you need to ride more is to make it easy to get up the hills. What if you just want to go faster or further while still getting exercise? By choosing to convert a regular bicycle to an electric bike you get the bike you want with the power and performance you need and have a lot of control over the options and price. So if you want to choose the perfect bike or use the bike you have that is sitting in your garage - you have another option. 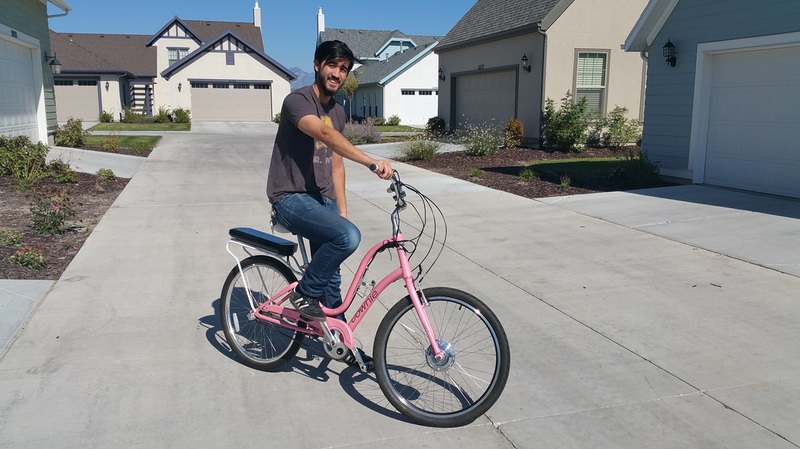 Let PoweredRide help you convert it to an electric bike. We can do front or rear hub motor conversions or mid-drive motors like the BBSHD. PoweredRide is now Electrify Bike Co.
Save the planet ... one bike ride at a time. Did you know electric cars are 2 to 3 times more efficient than a regular car or even a hybrid car? How about that electric bikes are 5 to 10 times more efficient than an electric car or 10 to 20 times more efficient than a car? With an electric bike you can do something that is good for your health, good for your wallet and good for the planet. Do you need to keep moving or get out and get moving after an injury or other impairment? An electric bike or trike can give you as much impact free exercise as you want or need. It can flatten hills and provide a safe means to get around while getting sun, air and exercise. Ask your physical therapist how to work low impact riding into your routine. Have your doctor, physical therapist or medical practitioner give us a call for information about riding an electric bike or trike for exercise and rehabilitation. 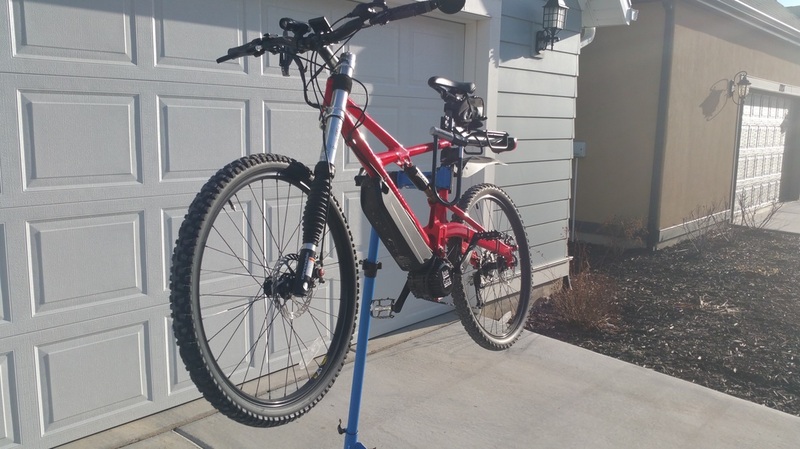 Electrify Bike Co. has conversion kits optimized for all kinds of mobility needs. We now have mid-drive motors that are highly adjustable in the amount of power delivered as a multiple of effort exerted. Coaster brakes are supported for those unable to use hand brakes.